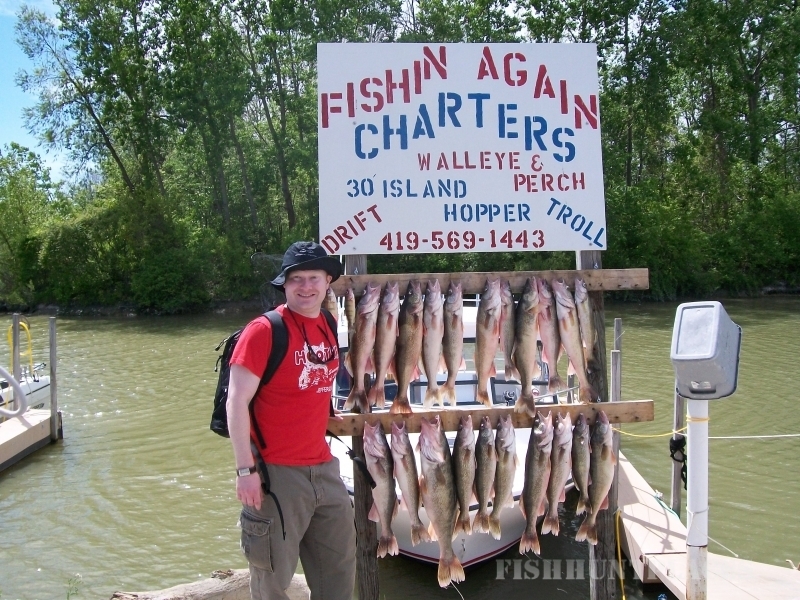 FISHIN AGAIN CHARTERS runs out of the Western Basin of Lake Erie. Known as the Walleye Capital of the World! It produces more walleye than any other fresh water lake. It produces more fish for human consumption than any of the other 4 great lakes and is probably one of the most diverse fisheries in the country. FISHIN AGAIN CHARTERS is set up to meet the needs of our customers. It is the customers preference on the type of fishing they prefer. We are set up to drift or troll for walleye and will do what it takes to catch walleye. We will teach you all the tips, tricks, and even allow you to handle your own rod and reel. 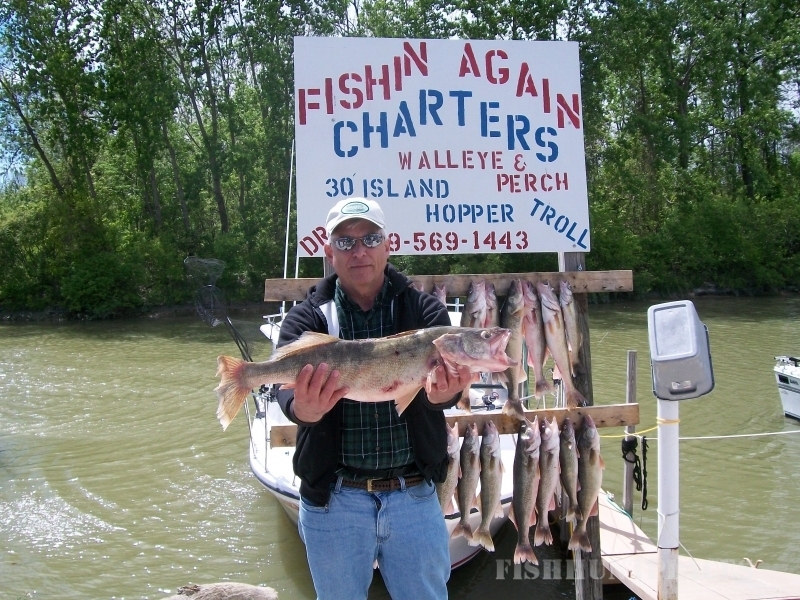 So if your looking to take part in catching some of the estimated millions of walleye in Lake Erie and even bag a limit of perch, or some smallmouth bass call Captain Randy Lilly. FISHIN AGAIN CHARTERS has several different packages to suit your charter fishing needs. We also offer convenient overnight accommodations right at Wild Wings Marina. 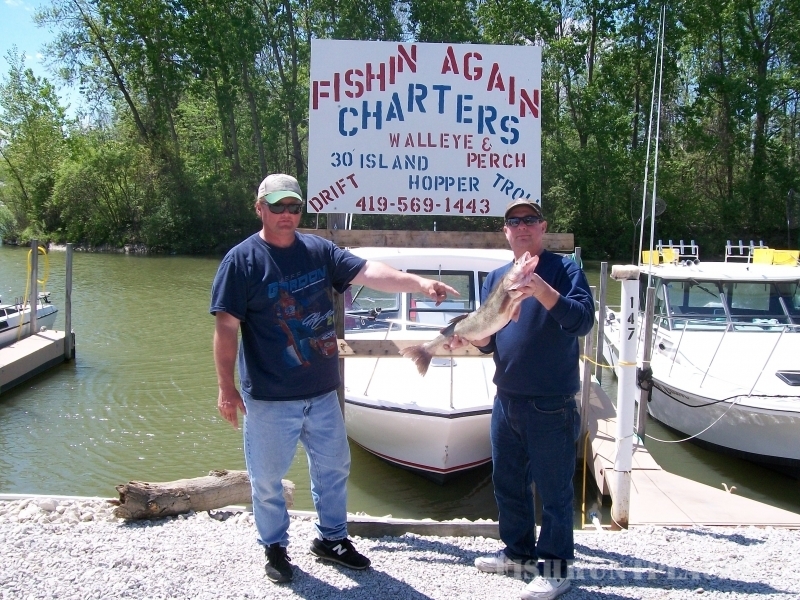 Charter your fishing trip with Fishin Again Charters today before prime dates are filled for the season.